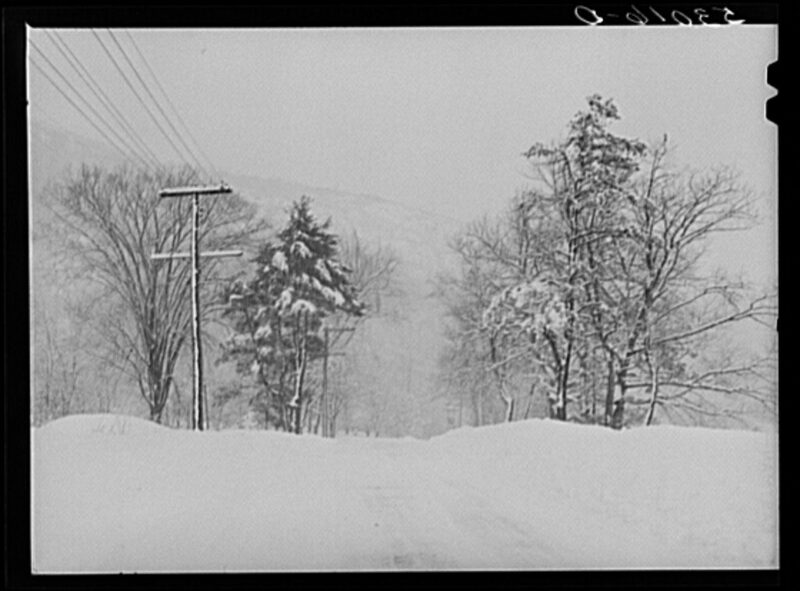 Highway during blizzard near Brattleboro Vermont 1941. The Library of Congress digital collections are not to be missed. Subscribe to one or several of the 93 different blogs or services from the LoC. They range from General News, Preservation News, Folklife News and Events, Music News, Insights: Scholarly Work at The John W. Kluge Center Blog Information,Headlines & Heroes: Newspapers, Comics & More Fine Print Blog Information. The blog entry that piqued my interest was this one, Inquiring Minds: Opening a Treasure Chest of Unfinished Stories, which featured a 1910 photo of a Addie Card, a child worker in a Pownal, Vt. cotton mill. Addie inspired Joe Manning, a genealogist and historian, to launch a project to tell the stories of the people whose lives early 20th-century photographer Lewis Hine documented. Manning helped his friend, Elizabeth Winthrop, who is writing a novel about Addie, to track down her granddaughter and great-granddaughter whom she interviewed. Inspired by the more than 5,000 photos taken by Hine for the National Child Labor Committee between 1908-1924, which are now part of the LoC collections, documenting the horrible conditions that these young people worked. What does this photo have to do with Brattleboro. Searching under subject or location=Brattleboro will yield over 85 images about the town. The photo above is just one of these. Manning has himself documented the stories of more than 300 of these children at his web site. Not to be missed. Signup for these news alerts from LoC so you don’t miss any of these interesting collections.